This cold winter weather is not going anywhere. But neither are the horses! It is vital that a routine stays in place for your horse. Visiting the yard, the field and your horse and attending to them whatever the weather! Therefore wrap up warm. Stay dry and comfortable out there. Selwood Equine have a great range of coats and jackets, base layers and accessories to keep you warm and dry this winter. Base layers for keeping warmth in and layering up are a great way to lock heat in. Selwood Equine’s easy tech base layers come in at under £40, which is great. Top pick for warm coats! For warmth and style there is the Selwood Team Prado coat. Selwood took the classic Tattini Prado jacket and personalised it with logo stitch work. The stylish fit of this jacket has made it a firm favourite for a number of years now. Because it is made with light nylon padding and insulating soft white duck down feathers, it keeps body temperature constant. The jacket also comes with a high neck to keep you warm in the wind and a detachable hood for convenience. This elegant fitted jacket has contrast colour lining and is embellished with a matching badge. Logo work is on the left chest and to the centre of the rear of the jacket, in a colour match stitch to compliment the jackets lining. Top pick for waterproof wear! The Tattini lightweight 100% waterproof jacket is ideal for layering over the top of other jackets as it is lightweight. It provides a comfortable waterproof layer. This ladies jacket is completely unlined. The jacket is provided with a pull out hood and internal hip drawstrings for a secure fit. Made in a soft hi-tech stretch fabric, it is noiseless and 100% waterproof. It is breathable for maximum comfort and is finished with internal Lycra cuffs, waterproof front double way zipper and pockets with waterproof zippers. This stylish jacket is also easy to store. Therefore fold away or hang up in the lorry so you always have a lightweight waterproof layer to hand. Top picks for keeping your head and ears warm! The Selwood Beanie is fleece lined to keep warmth in, in colder conditions. 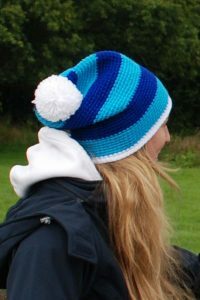 The baggy style hat is hand made in the UK from 100% Super Soft Acrylic. Smart and eye catching for both men and women, with Selwood branding stylishly positioned on the side. The Selwood Headband is hand made in the UK from 100% super soft acrylic. Selwood branding is stylishly positioned on the side. Bright colours makes this head band smart and eye catching for both men and women. Ideal for all outdoor activities, not just when on the yard. Wear it when skiing, running or hiking. Shop online with Selwood Equine now.